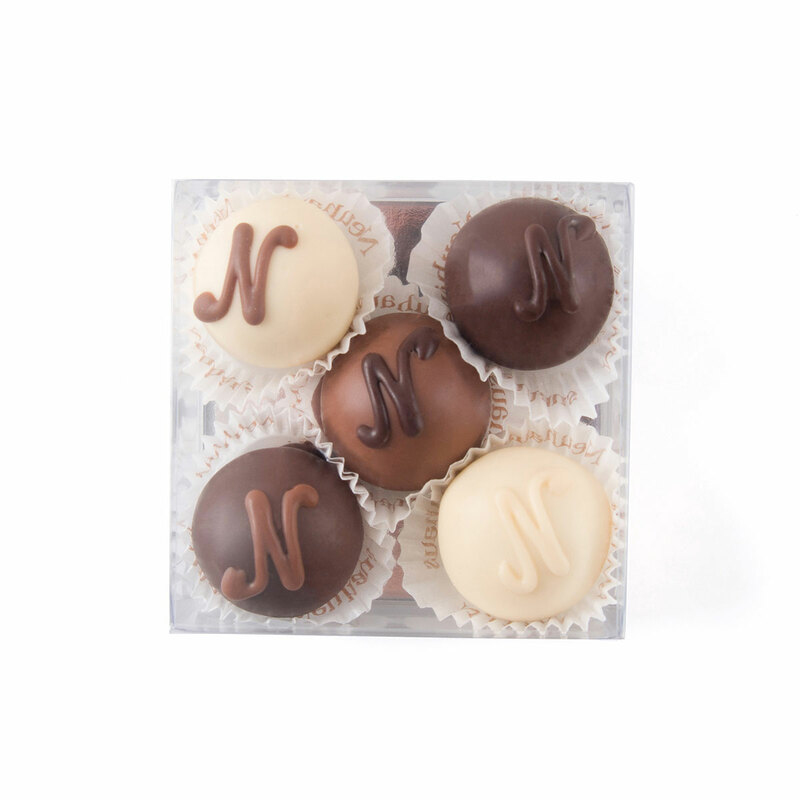 Indulge in the classic luxury of Champagne and Belgian chocolate. The gift begins with a bottle of our favorite boutique Champagne, Champagne Lenoble Brut. 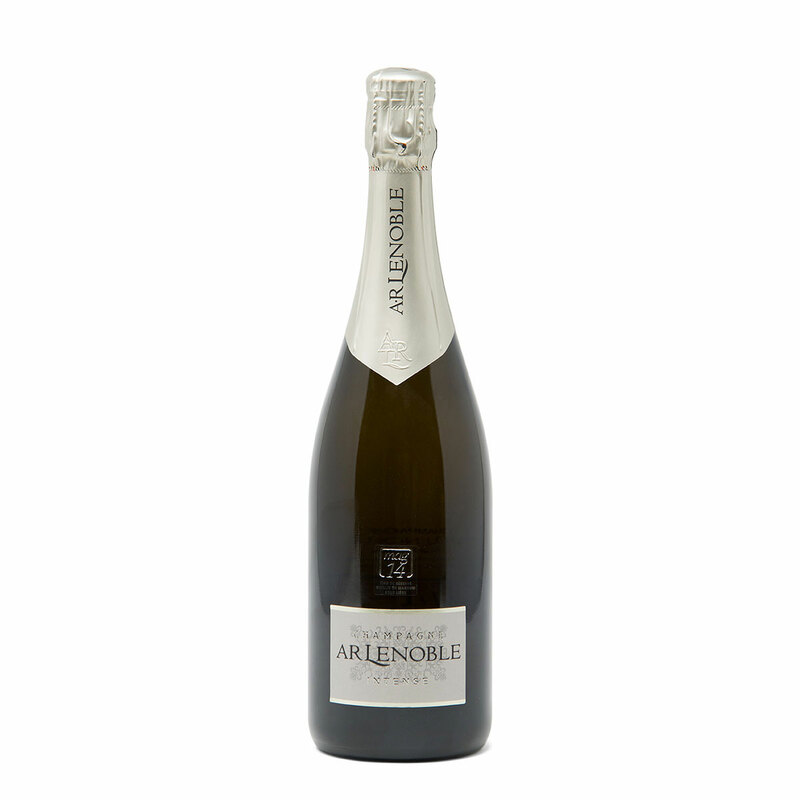 Fresh, lively and well balanced with long-lasting aromas, Champagne Lenoble Brut is a distinctive blend of Chardonnay, Pinot Noir, and Pinot Meunier from a Grand Cru region in the French Côte des Blancs. 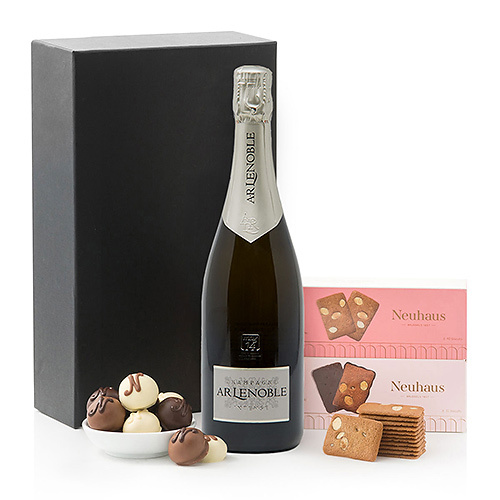 To complement the Champagne, we offer decadent Neuhaus Belgian chocolate cream filled Manons and two boxes of scrumptious biscuits. The perfect Champagne gift box for any special occasion or corporate gift. 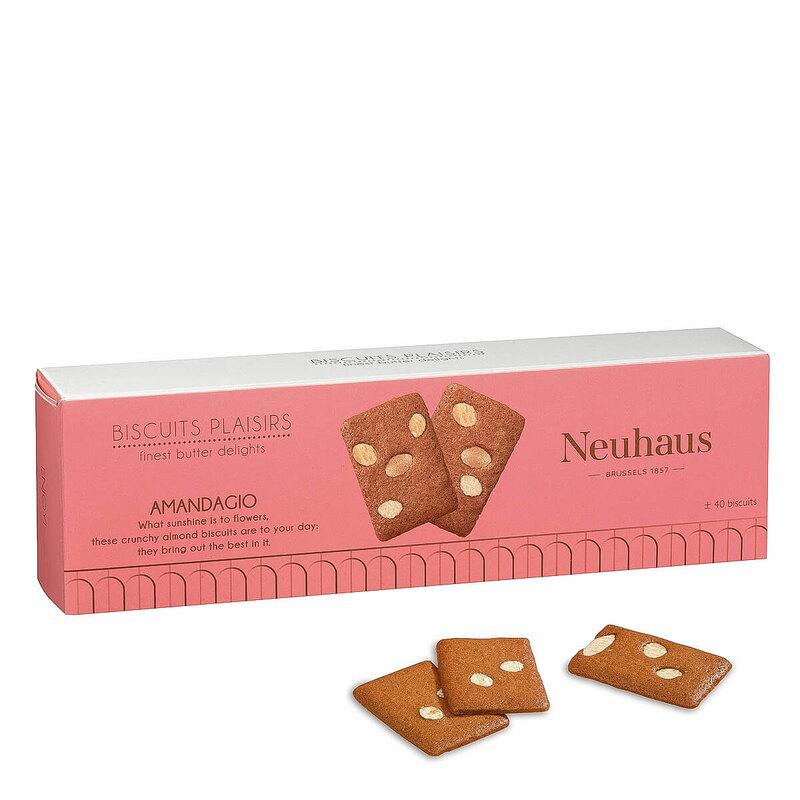 Ingredients: Biscuits Amandola: chocolate (sugar, cocoa mass, cocoa butter, butter oil (contains milk), emulsifier: soya lecithin, natural flavouring), wheat flour, sugar, butter (contains milk), almonds, raising agent (sodium bicarbonate), salt, colour (beta-carotene). Allergy Advice: May contain traces of eggs and groundnuts.